Dubai International Marine Club, 22, November 2009. The build up for the Sea Dubai RC44 Gold Cup is almost done, the boats are on the water and teams are out practicing and the race starts on Wednesday 25 November. Two teams, Aqua (UAE) and Ceeref (SLO) have raced in Dubai before and it is the home of Team Sea Dubai but to the other seven competing teams it will be a totally new platform and challenge. The arrival of two boats in March 2006 in Dubai International Marine Club marked the first ever event of RC44 Class and then in 2007 eight boats returned to complete the first Championship with UAE based Team Aqua winning the top prize. Owned by local businessman Chris Bake who teamed up with pro skipper Cameron Appleton, Team Aqua has had considerable success and sits well placed for a good result when the Championship ends on November 29. A press conference at 11:00 on Tuesday 24th November will open the event with a chance for media representatives to go on the boats during the practice race at 14:00. 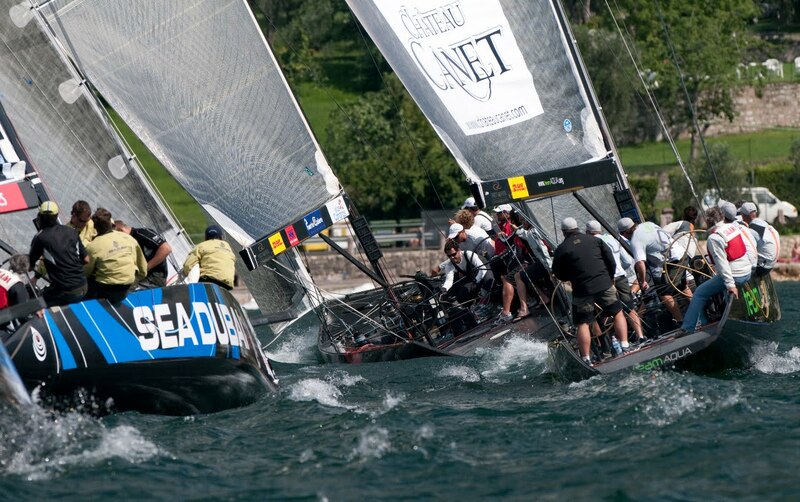 The first match race round will be at 11:30 on Wednesday 25th. Ten teams representing nine Countries will participate in the Sea Dubai RC 44 Gold Cup: Team Aqua, Chris Bake / Cameron Appleton (UAE), Team Ceeref, Igor Lah / Rod Davis (SLO), Sea Dubai, Yousef Lahej, DIMC / Markus Wieser (UAE), BMW ORACLE Racing, Neville Crichton / Russell Coutts (USA), Team Organika, Maciej Nawrocki / Karol Jablonski (POL), Puerto Calero Islas Canarias, Daniel Calero / Jose Maria Ponce (SPA), Artemis, Torbjorn Tornqvist / Dean Barker (SWE), No Way Back, Pieter Heerema / Ray Davies (NED), Team Austria, René Mangold / Christian Binder AUS), Team Katusha, Bob Little / Paul Cayard (RUS).